Drawing from extensive interviews with Heineken high executives, and secondary documentation provided by Heineken, this paper offers detailed insights into the perceived and practiced social responsibilities a major private economic actor encounters while operating in a conflict region. Based on the peace through commerce existing frameworks, we provide empirical evidence which reveals that economic and social opportunities are widely exploited. By continuing business in war times, creating linkages in the value chain, offering health care to employees, family members and communities as well as facilitating dialogue between warring parties, Heineken creates conditions for peace to thrive and contributes to consolidating the countries' stability. Our study also extends the scope of multinational companies´ responsibilities by showing the challenges of operating in conflict areas, maintaining an official policy of strict neutrality while being de facto involved in public matters. In this contribution, Christiaan points to current trends in society that demand another stakeholder engagement model from business, and the oil and gas industry in particular. The ´tell me´ world has passed long ago, and now the world is shifting from the ´show me´ to the ´join me´ world in which society is demanding a more active participation of businesses in addressing the worlds needs and challenges. Toyota in India achieves high rankings in corporate social responsibility (CSR) ratings. With the support of Nigel Roome´s cybernetics model (Roome, 2012), we demonstrated Toyota´s impact on sustainable societal development, through means of its CSR strategy. Toyota takes a holistic approach to CSR, as opposed to a stakeholder approach, resulting in sustainable business practices. A Solid Response to External Stakeholders Requires a Solid Internal Organisation. How does a company organise itself to deal with societal challenges? Non-Technical Risks or those challenges and opportunities related to external stakeholders, have become a normal part of business. If not well-managed, non-technical risks cause significant project delays, budget overruns and/or reputation damage. 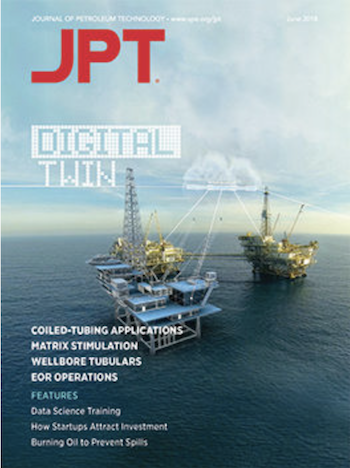 This paper discusses the way Shell re-aligned its internal organisation to give proper balance to technical, commercial and external considerations in investment and operational decision making. What is Corporate Social Responsibility for social media companies such as Facebook and Twitter? And what about the more classical controversial industries such as alcohol or tobacco? And thirdly, what can a socially responsible company in the shipping industry do when a governmental partner is unwilling to participate? 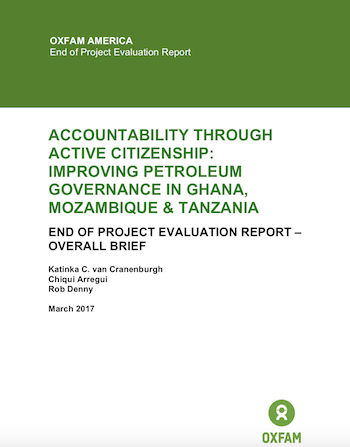 End Line Evaluation: Accountability through Active Citizenship: Improving Petroleum Governance in Ghana, Mozambique and Tanzania. After having conducted the baseline survey in December 2014, and the Mid Term Review in 2016, CWP was asked to conduct an endline evaluation of the O&G Revenue Governance Program aiming at creating active and informed participation of all stakeholder groups. Fieldwork was done in Ghana, Tanzania and Mozambique and the programs' development was described and receommendations for extenstion of the program were integrated at local stakeholder offices. The opportunities for the private sector in developing markets are significant and go beyond extracting natural resources or benefiting from low labor costs. When business managers, from no matter what industry, open their horizons and partner with development organizations, they will find consumer markets, resources, spirit and engines for growth that serve both society and business. 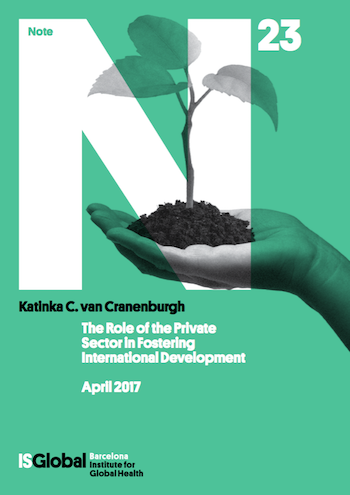 This discussion paper addresses seven key fundamentals of the role of the private sector in fostering international development. In times of war and conflict, businesses that remain present place all efforts in staying safe and remaining neutral. Staying away from politics is however not always that easy. Lenfant & Van Cranenburgh show the difficulty of navigating subtly between not taking side in the conflict, continuing business and acting responsibly in a context of violence, human rights abuses and conflict. No blueprints or guidelines exist that can help companies deal with rebels invading a company's premises or non-democratic-elected governments requesting assets and access to data. Traditional management forms are not suited to operate in complex and crisis-conflict contexts. There is a need to amplify and strengthen research, develop guidelines, tools and management training on how to conduct business in a conflict country. 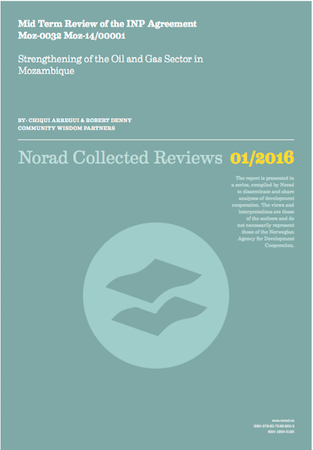 The upcoming publication is another step in that direction. FHI360, an International Civil Society Organisation headquartered in the USA, asked CWP to write an academic article based on their successful program in Mozambique. This article analyzes strategies that address gender inequality and gender-based violence (GBV) as part of HIV prevention. It describes the institutional support needed to implement these strategies. 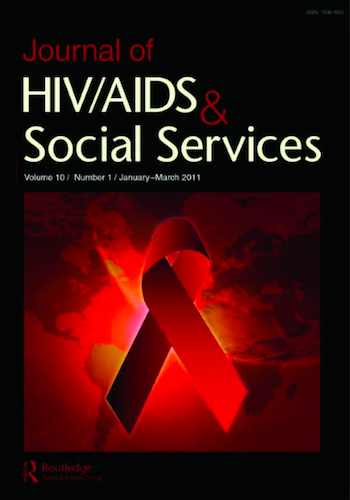 We conducted a literature review on pivotal HIV and GBV strategies. Then we described the context of the high prevalence of HIV and GBV in Mozambique and reviewed the organizational resources of civil society organizations. Combatting the twin epidemics requires community-level changes in attitudes regarding gender norms and organizational-level changes in the integration of gender and GBV. To do so, a combination of interventions are required: provision of technical support, development of organizational capacity, and engagement of communities. To enable businesses to have a societal approach, there is a need for them to participate in sustainable societal development on a continuous basis. This means businesses do not only engage with civil society when there is an issue at hand or when approached by an activist, NGO or governmental institution. The company, as a civil society actor, participates in development on a permanent basis. Ethical Corporation asked Katinka to write a short analysis based on the Societal Model she introduced in her Doctorate dissertation. NORAD's Oil for Development (OfD) programme has been assisting countries to make the most of their oil wealth for more than 10 years. In mid-2016 CWP partners Chiqui Arregui and Rob Denny conducted the Mid-Term Review of OfD's current largest programme, in Mozambique, a country which has seen major discoveries of offshore gas in recent years. The report assesses progress to date and charts directions for the remaining 2 years of the programme. Social activism, especially when played out in the media, is a powerful method to push corporations towards better working conditions or a better care for the environment. But sometimes the companies that take the lead in cleaning up their act find themselves targeted by even more social activism, demanding more change. 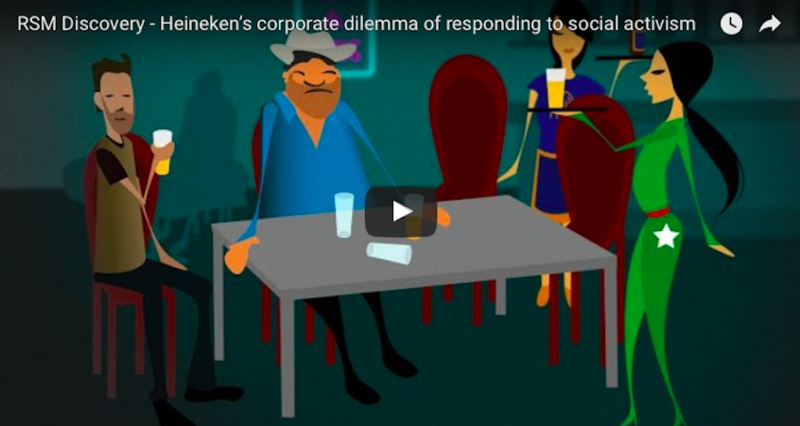 That is what Katinka C. van Cranenburgh of Rotterdam School of Management, Erasmus University (RSM) discovered in her case study on Heineken’s efforts to improve conditions for ‘beer promoters’ in Cambodia. CWP partner Katinka defended her dissertation at the Erasmus University, Rotterdam School of Management on 23 June, 2016. The dissertation is a compilation of several sub-studies and introduces the Societal Model as an alternative business strategy for approaching business-in-society issues. 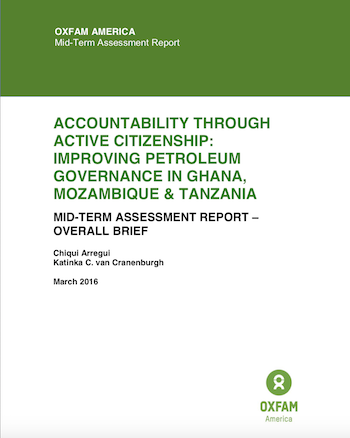 Mid Term Review: Accountability through Active Citizenship: Improving Petroleum Governance in Ghana, Mozambique and Tanzania. After having conducted the baseline survey in December 2014, CWP was asked to conduct a midterm evaluation of the O&G Revenue Governance Program aiming at creating active and informed participation of all stakeholder groups. Fieldwork was done in Ghana, Tanzania and Mozambique and the programs' development was described and receommendations for the last phase of the program were integrated at local stakeholder offices. 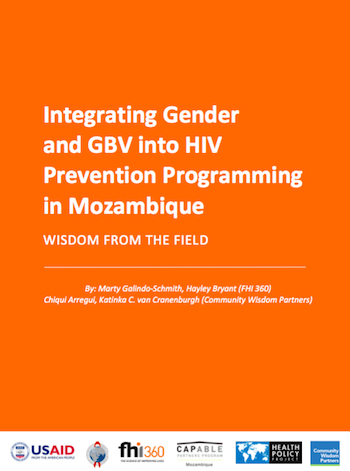 CWP produced a case study, a technical brief, a presentation and an academic article to support those in the area of HIV/AIDS prevention in sub-Sahara Africa to integrate gender and gender-based violence aspects. 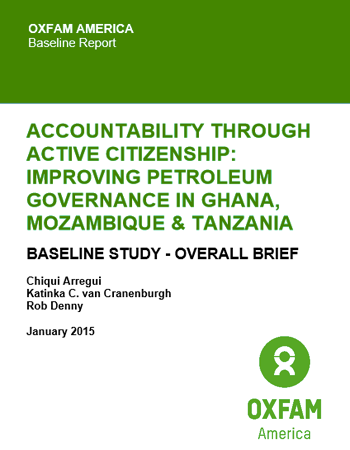 Base Line Evaluation: Accountability through Active Citizenship: Improving Petroleum Governance in Ghana, Mozambique and Tanzania. 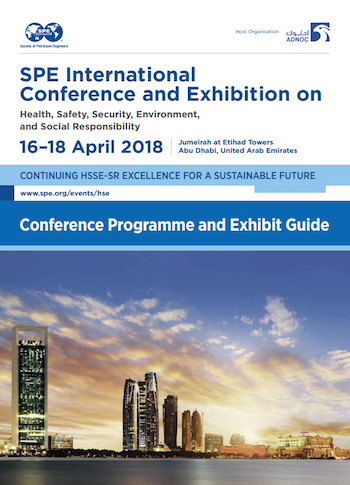 Program design is based on the premise that good governance of O&G revenues relies on the active and informed participation of all stakeholder groups. Furthermore, participation is only possible by redressing the power imbalance resulting from unequal access to information, poor awareness of governance and decision-making processes and rights, and structural weaknesses in the media sector. 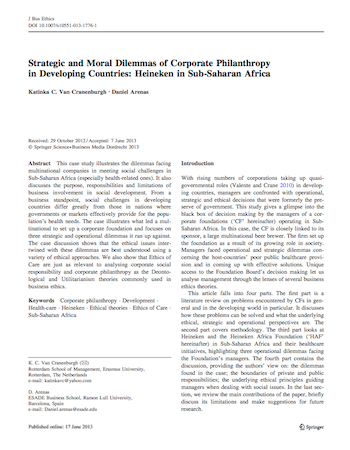 Strategic and Moral Dilemmas of Corporate Philanthropy in Developing Countries: Heineken in Sub-Saharan Africa. 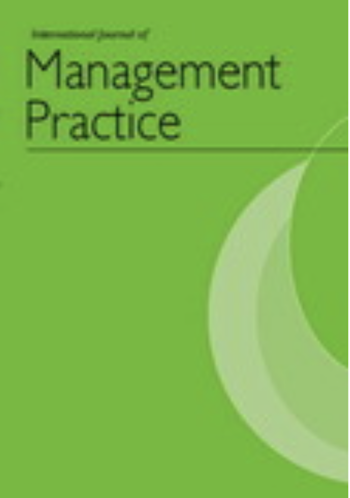 Journal of Business Ethics, Volume 122, Issue 3 (2014), pp 523-536. 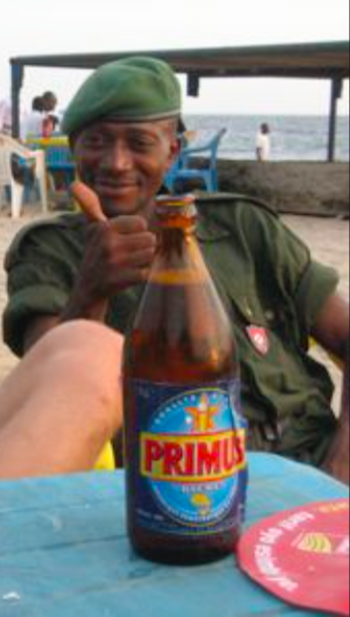 This case study illustrates the dilemmas facing multinational companies in meeting social challenges in Sub-Saharan Africa (especially health-related ones). It also discusses the purpose, responsibilities and limitations of business involvement in social development. The case illustrates what led a multinational to set up a corporate foundation and focuses on three strategic and operational dilemmas it ran up against. The case discussion shows that the ethical issues intertwined with these dilemmas are best understood using a variety of ethical approaches. 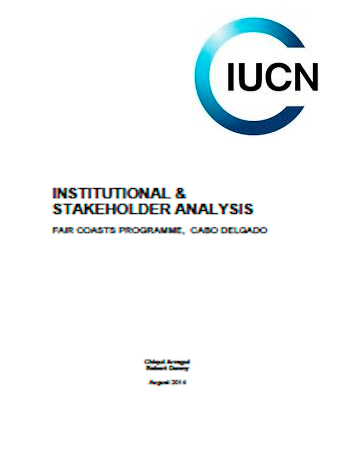 This review provides insights into the nature, objectives, structures, processes and effectiveness of Multi-Stakeholder Forums and other dialogue initiatives to ensure that relevant lessons are integrated in the design and support to the operations of the Cabo Delgado Sustainable Development Forum. 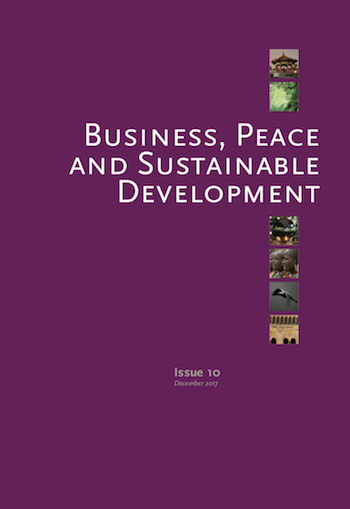 The study analyses seven case studies (Ghana, Indonesia, Iran, Kyrgyzstan, Nigeria, Peru and Venezuela) implemented in remote locations with high levels of income poverty and low overall development; three in high-income countries (the Scottish case in the United Kingdom, Alaska and Canada), along with two examples in which dialogue aims to contribute to the overall development of specific extractive sector issues (Kenya and South Africa). 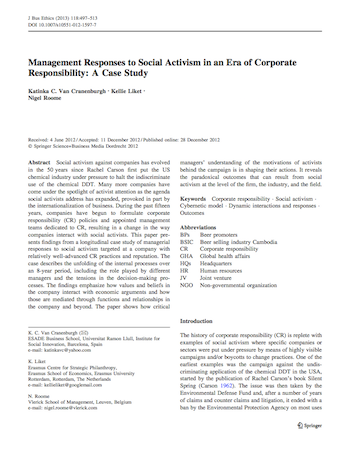 Management Responses to Social Activism in an Era of Corporate Responsibility; A Case Study. Journal of Business Ethics, Volume 118, Issue 3 (2013), Page 497-513. Social activism against companies has evolved in the 50 years. During the past fifteen years companies have begun to formulate corporate responsibility (CR) policies and appointed management teams dedicated to CR, resulting in a change in the way companies interact with social activists. The findings emphasise how values and beliefs in the company interact with economic arguments, and how those are mediated through functions and relationships in the company and beyond. The paper shows how critical managers' understanding of the motivations of activists behind the campaign is in shaping their actions. It reveals the paradoxical outcomes that can result from social activism at the level of the firm, the industry and the field. 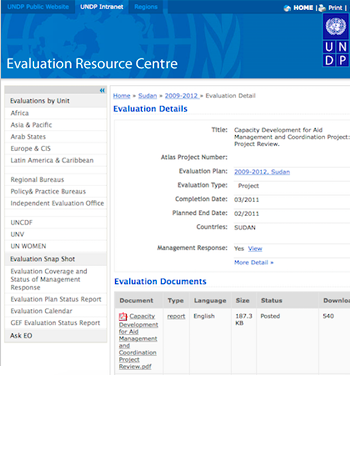 Capacity Development for Aid Management and Coordination Project: Project Review. Outputs from the 5-year project included the establishment of a counterpart unit in the Ministry of International cooperation (MIC); a training programme; efforts to strengthen the M&E Directorate and build a network of aid-information focal points across other Ministries and in the States; and creation of the desktop version of the Sudan Aid Information Database. Despite these achievements, the project has been negatively affected by (1) a lack of consistency and continuity in the project manager role, (2) delayed recruitment for key staff positions, and (3) inadequate support from the UNDP country office (4) the low level of trust between Government and donors, and (5) the division of responsibility for aid between three separate Ministries. Improving health and livelihoods of children, women and families in the Province of Zambézia, Republic of Mozambique. The Zambézia Province, Mozambique project aimed to use an integrated, innovative, and sustainable community-based approach supporting cross-sector integration of USAID's development actions in the province and had a strong focus on poverty reduction. This baseline report covers the analysis of general estimates of the Ogumaniha project indicators. 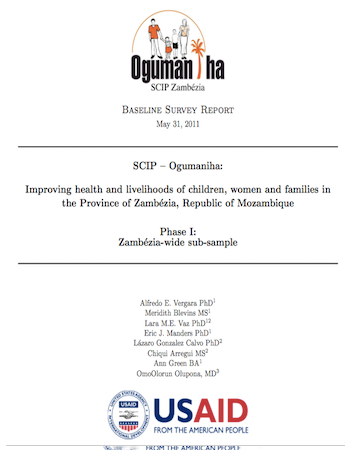 It is based on the data collected in Phase I of a sample representative of all Zambézian households for the following areas: a) reproductive health, pregnancy and antenatal care; b) child health; c) health services knowledge and access; d) livelihoods, water and sanitation, and nutrition. Healthcare provision of a multinational operating in emerging markets. Ethical motivations, benefits of healthcare investment and the impact on socially responsible investors. Eds: C. Louche, S.O. Idowu & W.L. Filho. Innovative CSR. 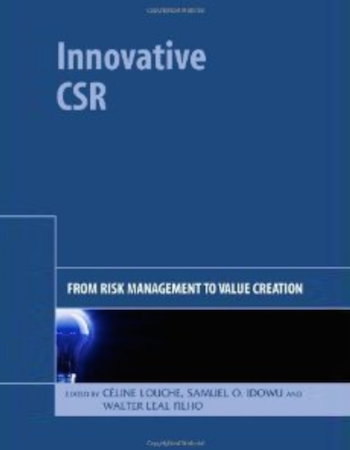 From risk management to value creation (241-263). In this book chapter, the authors give insight into the benefits of healthcare investment by using a case study of the international beer brewer, Heineken. An understanding of the Heineken healthcare provision system, the motivators and the boundaries of responsibility are presented as well as the effects of the global healthcare situation on the private sector, and the effects that a healthcare system has on employees, managers and consumers. 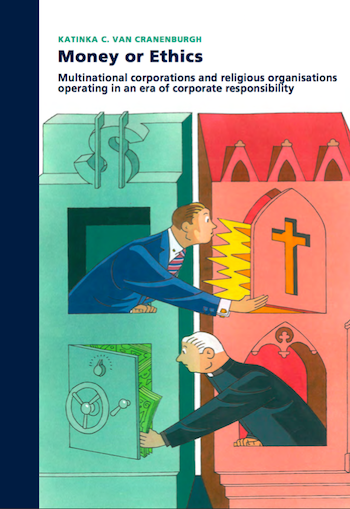 Further, the impact of Heineken's healthcare system on the financial community, including mainstream, socially responsible and faith-based investors, is described. La asistencia sanitaria de Heineken en entornos complejos. Eds: M. Prandi & J.M. Lozano. La RSE en contextos de conflict y postconflicto: de la gestión del riesgo a la creación de valor. (159-165). 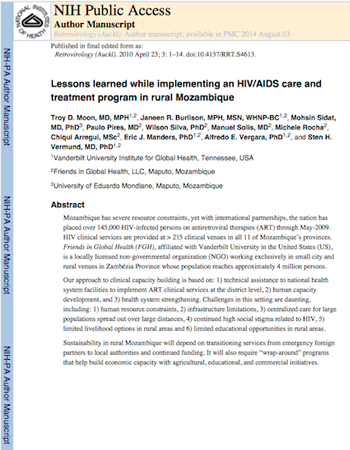 Lessons learned while implementing an HIV/AIDS care and treatment program in rural Mozambique. The paper describes technical assistance to national health system facilities to implement ART clinical services, human capacity development, and health system strengthening of Friends in Global Health approach to HIV programming in Zambézia, Mozambique. The paper analyses challenges faced by health systems and affected populations and calls attention for the need for multi-dimensional approaches to successfully address multidimensional determinants of HIV and AIDS in this context. Looking for Social Performance Consultants?